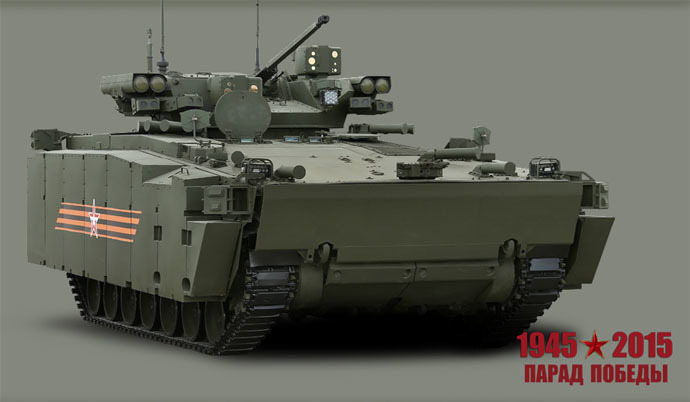 The Russian Defense Ministry has for the first time fully revealed the new Armata tank in a series of photographs published on its website in the run-up to the Victory Day parade in Moscow. All the previous images obtained by the media showed T-14Armata with its turret draped in protective canvas. Now, the Defense Ministry has published images of the tank, as well as several other new armored vehicles, in high definition, accompanied with brief descriptions, for anyone to view and download. 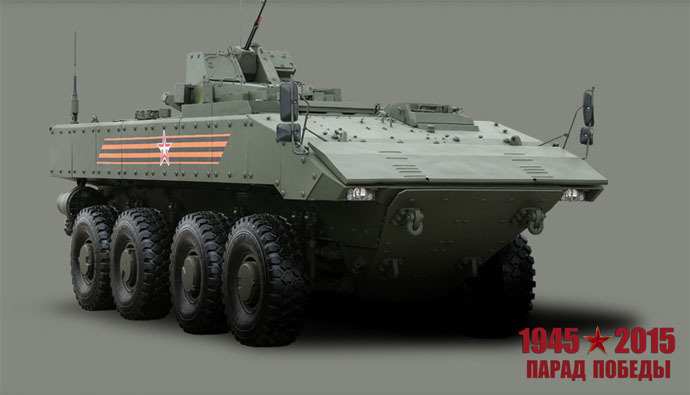 Armata is actually a tracked platform capable of hosting a tank, APC, artillery piece and missile launcher. 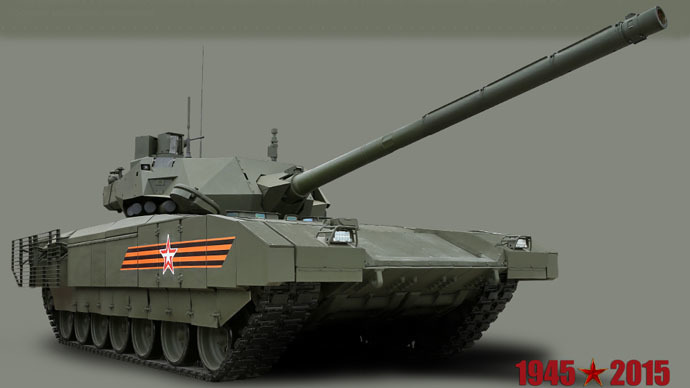 The Armata medium tank is a cutting-edge vehicle with an unmanned turret armed with a brand new 125 mm smoothbore cannon, which is the most powerful gun of its kind to date in terms of muzzle energy. A crew of two can operate the tank. It is fully computerized and equipped with a wide variety of sensors and other electronic systems that allow for network-centric warfare. Armata will be taking part in the grand Victory Day Parade in Moscow on May 9, marking the 70th anniversary of the Soviet Union's victory over Nazi Germany. A total of 194 armored vehicles will participate in the event, ranging from the cutting-edge to historic pieces. The Russian Air Force will be represented by 143 aircraft. As the Victory Day celebrations draw near across Russia, take a look at our special project detailing the Soviet Union's fight against Nazism during World War II. Other new pieces of kit participating in the V-Day parade, which have been unveiled at the Defense Ministry's website, are the Armata infantry combat vehicle, the Boomerang armored personnel carrier, the Koalitsiya-SV self-propelled artillery piece, the Kurganets-25 IFV and APC, and the Kornet-D self-propelled anti-tank complex.